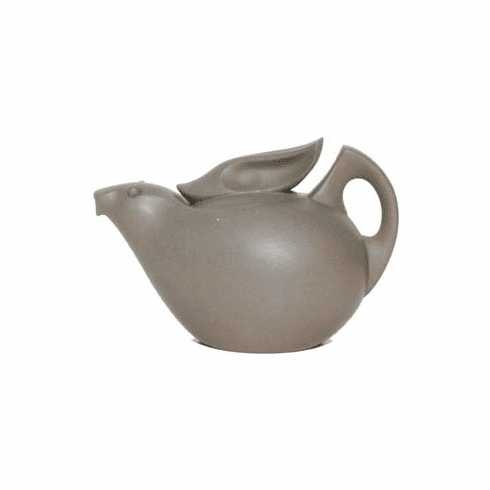 Produced by TenRen in 1999 to help commemorate the "Year of the Rabbit" on the Chinese Zodiac, this "Silver Rabbit" tea pot is available exclusively from TenRen in limited quantities. People born in the Year of the Rabbit or Hare have the following birth years: 1903, 1915, 1927, 1939, 1951, 1963, 1975, 1987, and 1999. 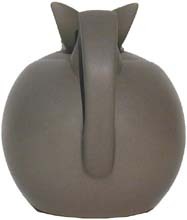 Each teapot was produced with a great deal of attention to the fit and finish. 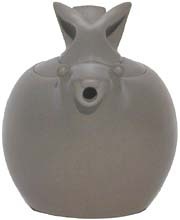 The teapot has an inner convex sieve which helps to prevent tea leaves from blocking the flow of the tea through the spout. 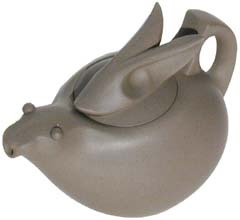 Made from gray clay and fired at a higher temperature for high quality, the teapot is ideal for serving semi-fermented teas such as Oolong, King's, Pouchong, and Ti Kuan Yin. This teapot comes with a special red satin lined box for a beautiful presentation.